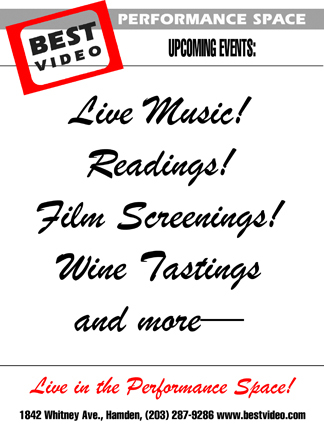 Best Video Performance Space will screen the John Frankenheimer movie “The Manchurian Candidate” on Thursday, Nov. 18. The program starts at 7 PM and the cover is $5. Christopher Sharrett, a Professor of Film Studies at Seton Hall University will introduce and discuss the film. Based on a 1959 novel by Richard Condon and released in theaters in 1962, “The Manchurian Candidate” is a classic Cold War-era suspense film. Laurence Harvey stars as a GI who is brainwashed into becoming a remote control assassin after being captured with other members of his platoon in the Korean War. Other stars are Angela Lansbury, Frank Sinatra and Janet Leigh. 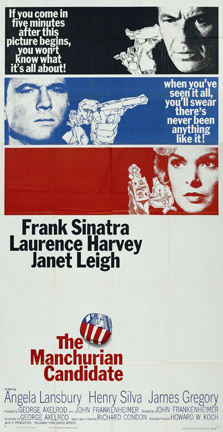 With the air full of international tension, the film “The Manchurian Candidate” pops up with a rash supposition that could serve to scare some viewers half to death—that is, if they should be dupes enough to believe it, which we solemnly trust they won’t. Its story of a moody young fellow who was captured by the Communists during the Korean campaign and brain-washed by them to do their bidding as a high-level assassin when he gets home to America is as wild a piece of fiction as anything Alfred Hitchcock might present, but it could agitate some grave imaginings in anxious minds these days, especially since it is directed and acted in a taut and vivid way.